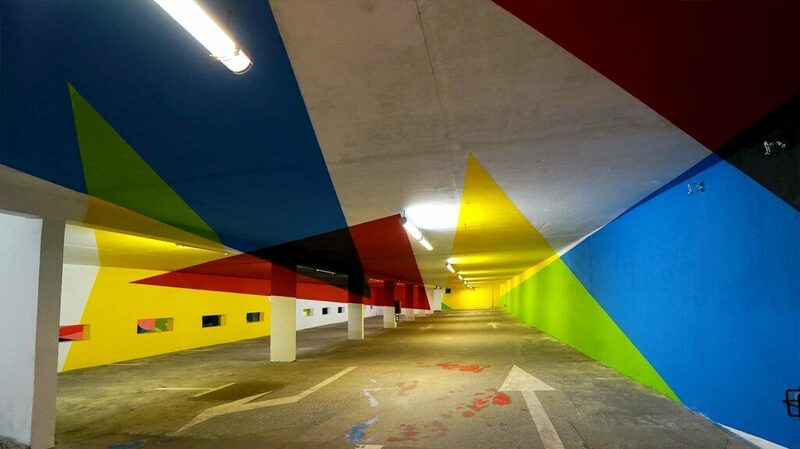 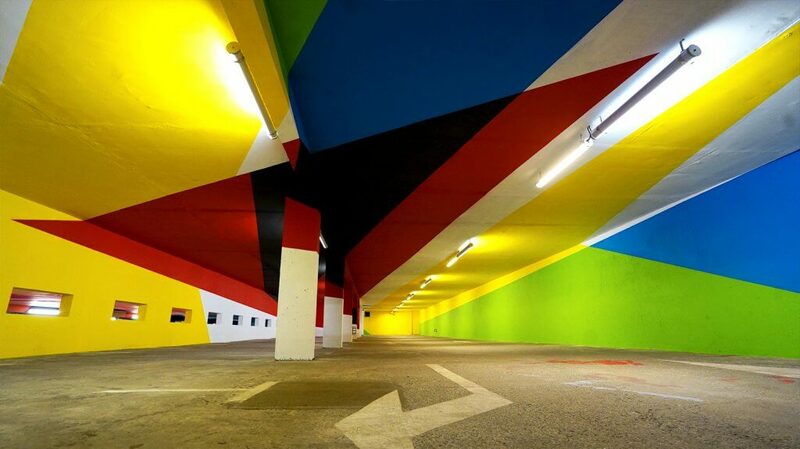 A garage painted with various colors in Montblac, France. 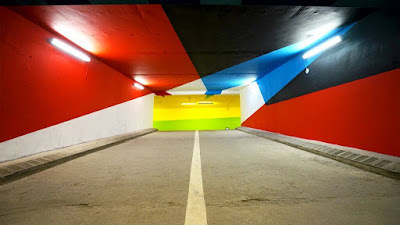 Argentinean artist Elian Chali, aka Elian was invited to paint in Saint Gervais, Montblanc, France for “2km3_Saint Gervais Project” curated by Hugues Chevallier and Zoer. 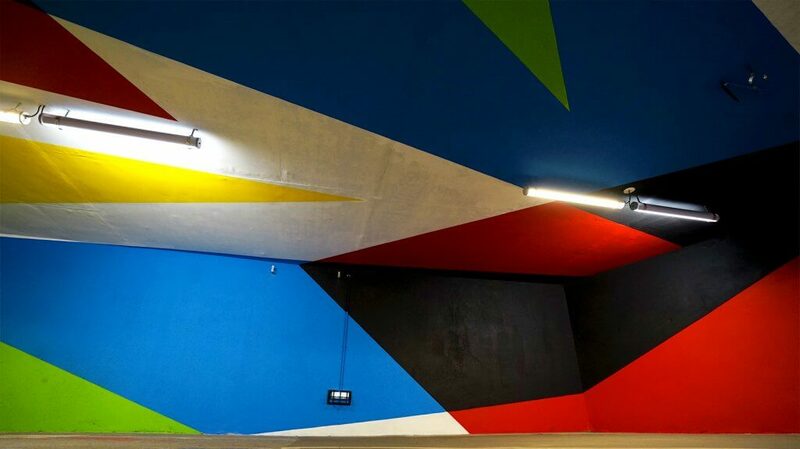 Elian is known for his abstract style and graphic design using vibrant colors and a rich mix of shapes, patterns and varied inclinations. 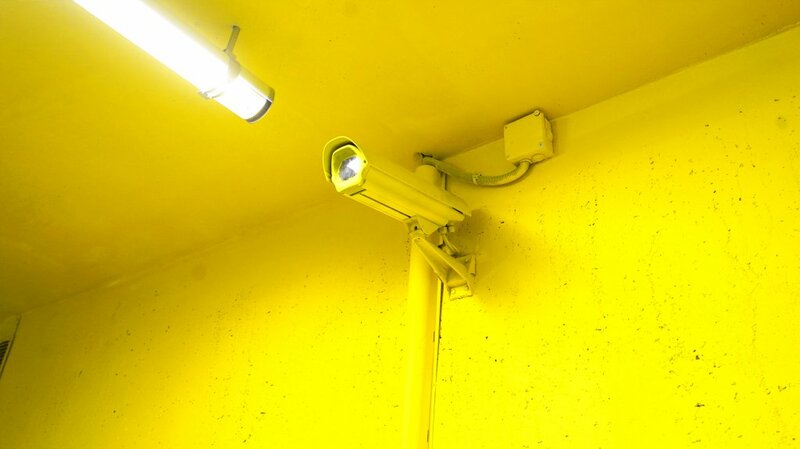 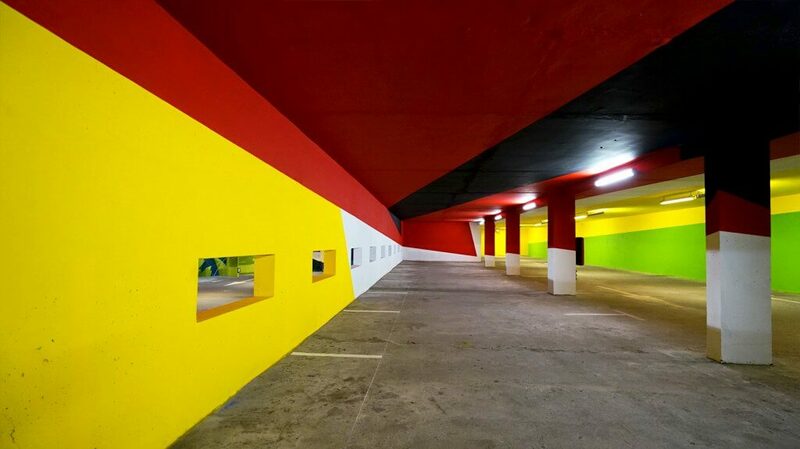 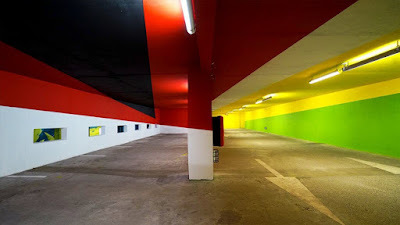 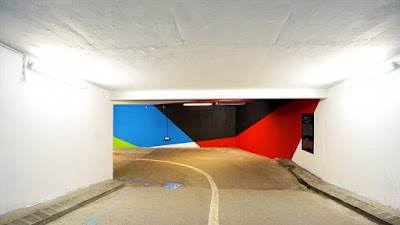 Elian was asked to paint was a parking lot, which he pimped up in his anamorphic style.